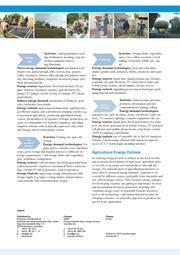 English: The GIZ HERA Factsheet aims to highlighting the important role played by modern energy services and related technologies in modern smallholder agriculture. It looks at the whole supply chain, from agricultural production, post-harvest and storage to the processing and commercialization of crops. 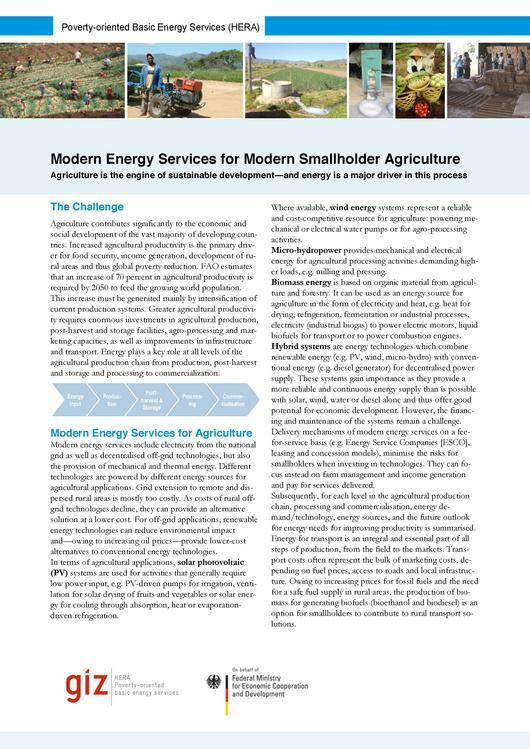 It also touches on the dual role of agriculture as energy user and producer. This page was last modified on 22 January 2016, at 12:31.